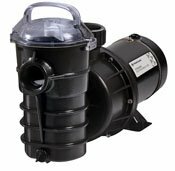 Your swimming pool filter pump plays a vital role in keeping your pool water clear and swimmable so that you can enjoy the beauty and function of your pool year-round. As the heart of your pool circulation system, the filter pump moves water through all components and piping in your pool. If it fails in any way, the results can be problematic for water clarity and chemical dispersion. Other pumps in your system may include water feature pumps, cleaner booster pumps, and spa auxiliary pumps that increase flow to the spa jets. Our technicians are very familiar with these types of pumps and can offer recommendations should any of them cease to work properly. Since most pool pumps run for a set amount of time per day, they have limited life. Plastic components of pumps are subject to chemicals in the pool and UV damage from the sun. In most cases, motors are exposed to weather fluctuations; excess heat, freezing temperatures, and precipitation bear down on pump motors throughout the year. Some pumps are designed to last longer than others, but there is no way of determining how long a motor will run. If your pump is not moving water the way it should, several factors could be involved. The strainer basket normally integral to the pump body could be full of debris or could be broken, allowing debris to clog the pump’s impeller. It could be that your filter is in need of cleaning or backwashing. There could also be an impedance or air leak in the suction piping. It is possible that the means of getting power to your pump is faulty (for example, a timer or control system relay not working). Be aware that all Select Pool Services technicians are licensed by the State of Texas to legally diagnose and work on pool equipment powered by high-voltage electricity, whereas many in the industry have yet to attain this accreditation. Advances in technology have brought upgrades to the pool industry in the form of energy-efficient pumps that use less electricity to do more than a standard pump can. A variable speed pump allows the user to dial in up to 8 different speeds for various purposes. We can schedule your pump to run at a lower speed that still meets the circulatory needs of your pool. Then, when you want to use your hot tub, another speed can be accessed to give the spa jets more flow, creating better therapeutic action. The motors for these pumps are designed to last much longer than standard pumps. This fact, combined with the electricity savings they provide, make variable speed pumps a much more cost-effective option over motor replacement and single-speed pumps. At Select Pool Services, we bring on the top electric pool motor repair technicians in the industry. We hope to ensure that, through expert repair techniques, high-quality equipment, and prompt service, you have everything you need for a smooth-operating swimming pool. Our technicians are highly trained and experienced in all things pool motor repair. We can have your electric pool motor back up and running in one afternoon. There are countless reasons why your electric pool motor may fail. For example, the system may “burn out,” or the efficiency has drastically reduced, or perhaps age has taken its toll on the system. In that case, a replacement may be your best bet. Our technicians will examine every component of the pool motor. We’ll assess the situation and determine how best to move forward. No matter the situation, we have a repair solution in mind to make a difference! 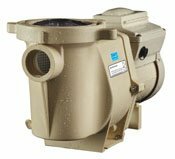 The cost for pool pump motor replacement varies depending on numerous factors. For instance, when we’re planning a replacement, we consider the size of the pool, the type of motor (manufacturer, specifications, etc. ), and labor costs. Know this: Before we begin any work, you’ll have a comprehensive quote for our services in-hand. You’ll know what you’re paying for and how much. We vow never to nickel and dime our customers. You’ll never find hidden fees or services you don’t need tacked on. You pay for what you get, and that’s high-quality pool pump motor replacement. On average, we need to replace a pool pump motor once every eight to 12 years. It’s a pretty sound investment. The cost of the replacement pump varies. Some may go for $150, on the low end of the spectrum. While others may cost $800 for a high-quality, extensive pump motor. You’ll want to factor in labor, too. Hiring a professional to handle the replacement is smart. It helps cut down on errors and costly repairs in the future! At Select Pool Services, we’re known for providing homeowners with extensive pool repairs and new construction. However, that’s not all we do. Our experienced pool technicians are adept at handling pump motor replacement, too. Over time, and through heavy use, your swimming pool pump motor may experience lower efficiency, breakdowns, and costly repairs. It might be time for a replacement. Today’s pump motors are quality! Give us a call. Our swimming pool technicians will assess your pump motor. If we notice that a replacement is necessary, you’ll be the first to know. We move quickly and efficiently, ensuring your swimming pool has a new pump motor in place promptly. We use high-quality products, experienced labor, and prompt service to get the job done right the first time. Trust us, you’ll be swimming in the summer heat once more before you know it. Select Pool Services personnel have been diagnosing and resolving pump and motor problems for almost 40 years. We have the expertise you expect from a professional pool equipment servicing company. Whether diagnosing problems, making minor repairs, or replacing components completely, you can trust our technicians to inform you of what is needed and provide excellent service now and in the future. Contact us today to schedule a rapid-response appointment for any pool pump concern.